Every day, I see new statistics about the growth of devices, connections, and data across the world. Today’s numbers claim that 90% of the world’s data was created in the last 12 months. Two years ago, the stats showed that it had taken 24 months to create the same amount of data. Two years, and data is generated twice as fast. Data creation is getting faster all the time; but what is causing this data explosion? Devices and services are all connected, from complex networks to Facebook authentications. But it’s not enough for data to just move around. It needs to be actionable: events trigger events, alerts happen across any device or service. IFTTT (If This Then That) is the leader in connecting services. 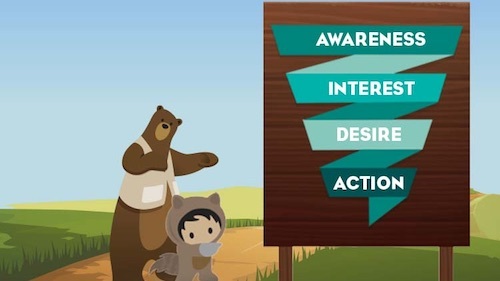 That’s why Salesforce is excited to launch a brand new Salesforce Channel with IFTTT to make connecting any service to the world’s #1 Customer Success Platform as simple as point and click. There’s no programming or code required. Any user can now point and click to create integrations from Salesforce to your favorite consumer apps like Twitter and Instagram plus your favorite business apps like Box and Evernote. 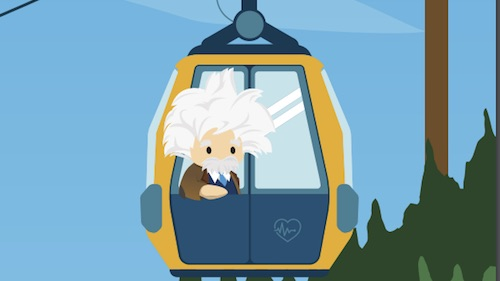 But not only can you connect services, you can connect Salesforce to the Internet of Things. Imagine the lights flashing on your sales floor when a big deal closes. Or a departmental notification going out when a large transaction is posted to your POS system. For example, you can use motion detectors and RFID sensors to automatically track how many people are coming and going from your booth at a trade show, making lead capture that much easier. Now, the sky's the limit! The future of smart homes: closing a case in Salesforce automatically turns a home appliance (connected to a Smart Outlet by SmartThings) on or off. Geo-fencing on mobile phones brings value to companies that have strict time-keeping policies by automatically creating time cards for employees. With a simple app and plug-in car adapter, Automatic becomes a great time-saver by automatically generating and submitting trip mileage expense reports through Sales Cloud. 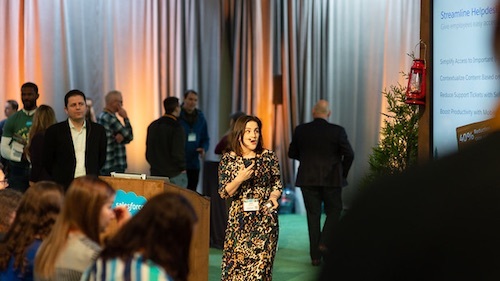 Work towards improving your health by automating the sync of FitBit data with the health records your doctor keeps in Salesforce. 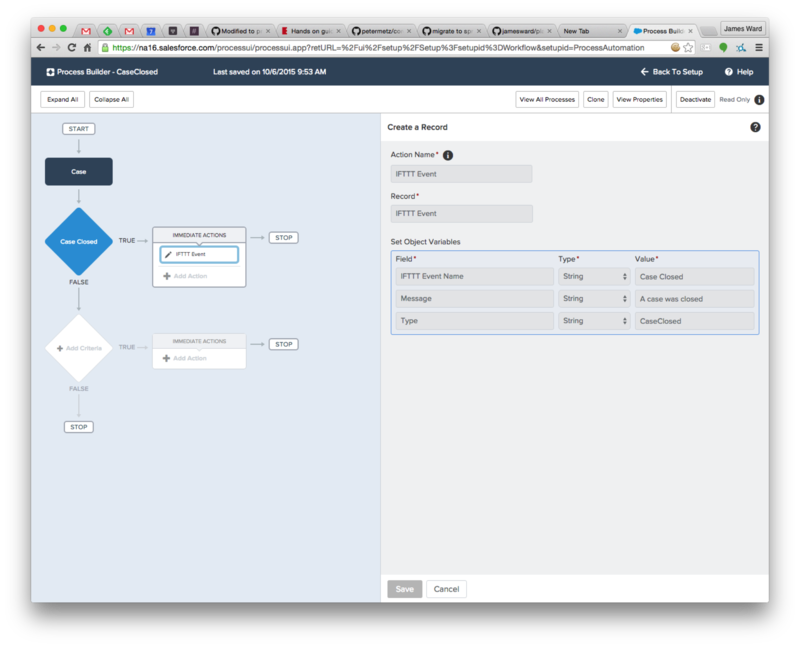 What is also great about this new Salesforce Channel is that it works with Salesforce Process Builder, a workflow tool that helps you easily automate your business processes by providing a powerful and user-friendly graphical representation of your process as you build it. Any update to a field on a Salesforce record (standard or custom) or creation of a new record can trigger any one of the hundreds of channels on IFTTT. Breathe a little easier knowing that this recipe automatically triggers the creation of a case in Salesforce Service Cloud and notifies you about gas leaks.